Save your boat from grinding sand, abrasive rocks and concrete ramps. 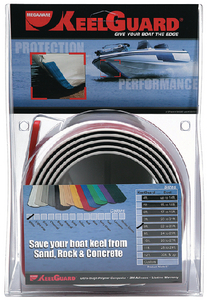 Each KeelGuard comes with easy instructions, and no special tools are required. Includes: KeelGuard bonded with 3M adhesive, 3M primer, etching pad, burnishing tool, and detailed installation instructions.